For months now we have been hearing rumours about what was being called at the time the Motorola X phone, and while we have heard numerous different specs and features for the device we will shortly know what the device has to offer. 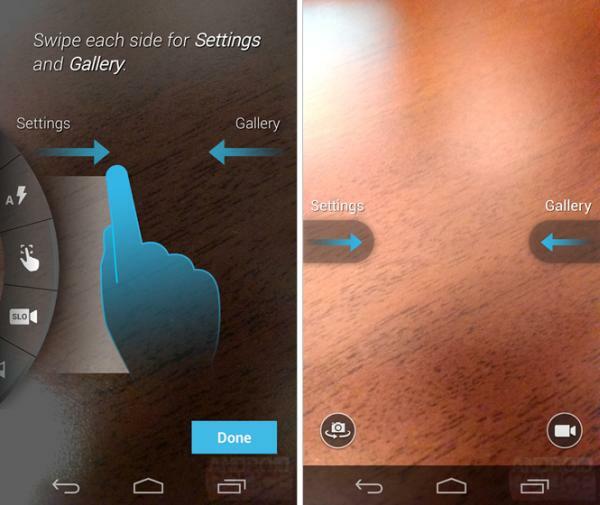 It seems though that the Moto X camera will have a UI that focuses on gesture controls. The device is set to be unveiled in New York City on August 1st and the Moto X phone has been the centre of speculation about its price with talk it will be priced below the Nexus 4,which has also been rumoured for a different device in Europe. It seems that the specification of the handset will position the new hardware in the middle of the market, but it seems the company is concentrating on the software side of things to make the device standout from the crowd. An anonymous source has sent the images that you can see on this page along with a load more to the guy’s over at Android Police, which is the camera app in action that shows the device will be using a lot of gesture controls. It will also have unobtrusive controls with adjustments made via a control wheel that can be swiped into action from the left side of the display. Users will get a list of options that include panorama, flash, focus, and more. These icons will be controlled by tapping and dragging them that will spin the wheel around to provide more options. If a user takes their finger off the wheel it will disappear and swiping across the display from the right will open up the gallery app, which begins with the last image that was taken. There is also going to be a slow motion video option. There is a Quick Capture feature that was recently shown off in a Rogers video that allows users to open the camera app with two flicks of the wrist, which can be done at anytime with the handset even when it is off. A user will be able to take an image or video with a quick simple tap that will focus and take one shot, or holding down will take multiple images until you release your finger. To enable the virtual zoom a user just needs to slide a finger up and down, and there are some buttons towards the bottom of the app that quickly switch between the front and rear cameras, or the photo and video mode. We have just over a week now to find out officially what the Moto X is going to offer, and it seems the company has focussed more on the user experience than just its specs. Are you considering the Moto X?